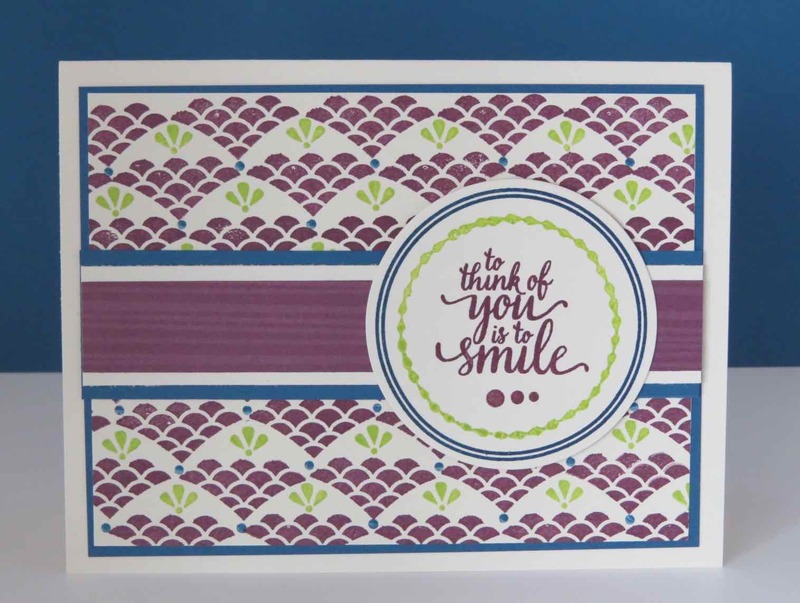 Karina's Kreations: Stampin'Up Eastern Beauty Card! 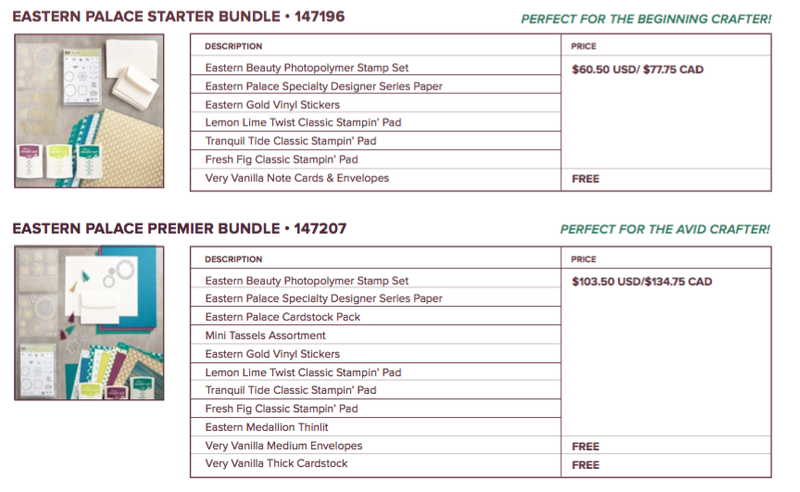 I held my Eastern Palace card class yesterday and we decided to case a card off pinterest for a bonus card. This card was designed by Lavinia Gruizinga and we just had to try it. I wanted to see how easy it was to create our own designer series paper using the stamp set and ink. Didn't this card turn out great? The Very Vanilla card base is 5-1/2" x 8-1/2" scored at 4-1/4". We stamped on 3-3/4" x 5" Very Vanilla card stock with Fresh Fig and Lemon Lime Twist ink. We used a Dapper Denim Stampin' Write marker for the dot image. The card stock was attached to 3-7/8" x 5-1/8" Dapper Denim card stock and then to the card base. 3/4" x 5-1/8" Eastern Palace specialty designer paper was attached to 1" x 5-1/8" Very Vanilla card stock and then to 1-1/4" x 5-1/8" Dapper Denim card stock. 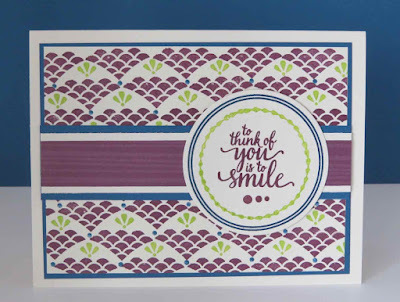 The Sentiment was stamped on Very Vanilla card stock and cut out with a framelit from the Layering Circle Framelits and attached to the card. 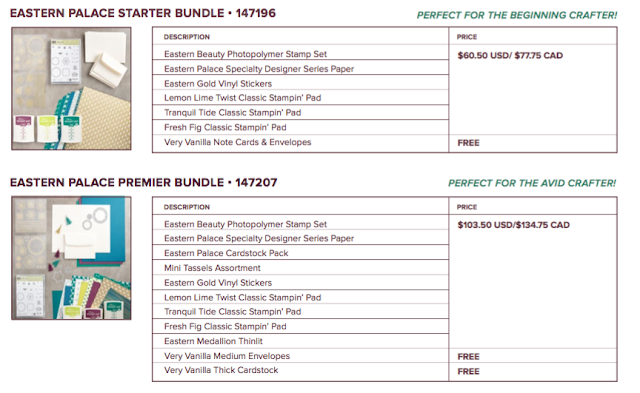 The Eastern Palace bundle can be purchased until May 31.